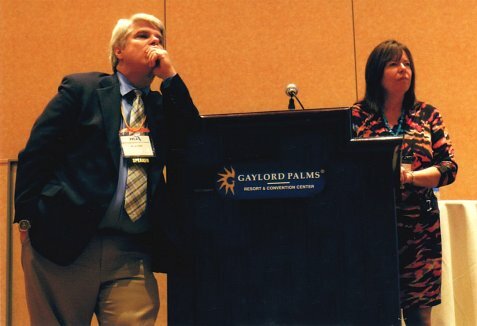 Diana Waring and I during the question/answer part of our "homeschool genius" talk. Last Friday and Saturday, I spoke at the Florida Parent-Educators Association (FPEA) convention in Orlando, Florida. 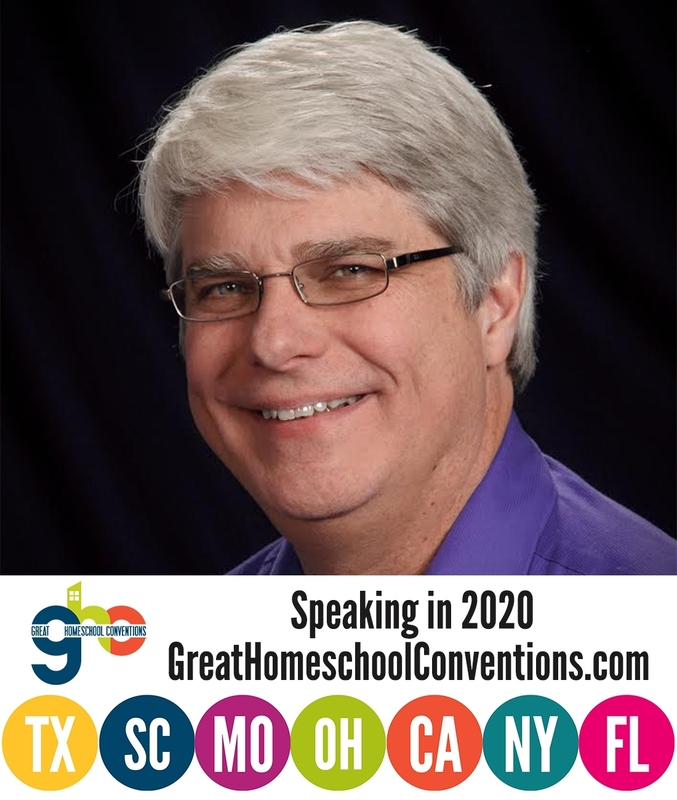 It is one of the largest homeschooling conventions in the United States, and it is held at an incredible venue (the Gaylord Palms Resort). The convention was made doubly-special for me because I went early and was able to do a unique scuba dive: I got to dive in the Epcot Center’s “Living Seas” aquarium. You can see pictures of it on my Facebook page. I gave six talks at the convention, including two with Diana Waring. The picture at the top of this post was taken during our first talk, “Homeschooling: The Environment for Genius,” which is based on a study of the childhoods of several geniuses. The picture at the top of the post comes from the question/answer session of that talk. In fact, one of the more interesting questions of the convention came during that time. A homeschooling mother stood up and asked the following: Because geniuses tend to think outside the box, they are often noticeably different from their peers, and that can produce all sorts of negative consequences. If we do have children who are geniuses, how do we deal with those consequences? Unfortunately, our time had expired by then, and a conference official cut us off before we could answer that question. However, I went down to her, and a crowd gathered around us to hear the answer, which you will find below. I told the mother that in my mind, real geniuses (like Edgar Allan Poe, Ludwig van Beethoven, Charles Dickens, and Sir Isaac Newton, just to name a few) are often plagued by depression and other mental disorders. I have a dear friend who is probably one of the most brilliant people I know. She is nothing less than a genius, and she has struggled with depression for most of her life. Although I have no expertise on the subject, I do think that the social stigma which often accompanies genius contributes to this correlation. The peer group doesn’t like those who are “different,” and it generally persecutes such people. Since all of us have a need for acceptance, I suspect that persecution by the peer group can be a strong contributing factor to depression. One of the points of our talk is that genius is fostered by reducing the amount of interaction a child has with his or her peer group. We say it is mainly because the peer group doesn’t promote good values, so if you want a child to value learning and creative thinking, you need to reduce the influence of his or her peers. However, I think there are other positive aspects related to reducing a child’s interaction with his or her peer group, and one of them is that it might help to reduce the chance of a real genius suffering from depression. If you surround a budding genius with people who encourage him or her to be unique, I would think the child might be more likely to grow up with a positive self-image. Hopefully, that will make the child less likely to suffer from depression. Now please don’t misunderstand what I am saying. I am not telling you to cut your child off from his or her peer group. As I already said, we all want to be accepted. We also have a built-in desire to connect with others, including others our own age. Thus, it would be just as unhealthy to cut a child off from his or her peer group as it would be to allow the child unrestricted access. The key is to limit the child’s peer group to those who will not only accept his or her uniqueness, but support and encourage it. As the child matures (both physically and emotionally), you can slowly expand his or her peer group so that the child will begin to encounter those who are “less than encouraging.” That way, the child’s exposure to the “real world” is gentle, not abrupt. Of course, one of the obvious ways to restrict a child’s peer group is to homeschool. That way, you can choose the people to whom your child is exposed. While some might view this as unduly “sheltering” a child, I do not. When we are young, we need shelter. The world is a harsh place, and often, it’s downright ugly to those who dare to be different. When a child is young, he or she needs to be sheltered from such ugliness. Most parents would not allow a young child to go out into a violent storm in order to investigate some shiny object he sees through the window. However, many people allow their children to regularly go out into the violent storm of an unrestricted peer group in order to investigate the world around them. Just as children need to be slowly and gently introduced to such dangerous things as storms, automobiles, and fires, they need to be slowly and gently introduced to the potentially dangerous activity of navigating their peer group. I would never put a six-year-old in the driver’s seat and say, “You’re going to need to learn to drive someday, so you might as well do it now.” Why would anyone contemplate doing something similar when it comes to dealing with the peer group? So how do you help a budding genius avoid depression? In my mind, you surround him or her with people who not only accept the child’s uniqueness, they encourage it. This will allow the child to understand that he or she is a unique and wonderful creation by the Almighty, who has great things in store! That was such an excellent talk! I was starting to worry about my 15yo son needing more friends and more time spent with his peers, but your talk really encouraged me that we had the right idea all along about limiting that time. My friend and I also apply that idea to youth groups, and feel that those should be run by older dads or granddads instead of young guys just out of college. Anyway, that’s a side note. I really enjoyed yours and Diana’s talks during the convention. I felt like I was just following the two of you around. Haha. I am glad our talks were helpful, Stephanie! I agree with you on the youth group idea. This is a good topic for discussion and I appreciate your thoughtful remarks. I fit this pattern you describe her. Without detailing my history, I’ll offer the testimony that my social difficulties are rooted in a diminished ability to identify with others. I observe the capacity of others to develop a rapport with each other that is based on a common frame of reference that encompasses a significant portion of their identity. One with an exceptional natural intellect must first ascertain the level of discourse possible with another person and restrict observations to that level only. This normally renders a substantial portion of one’s intellectual identity useless in social interactions. That uselessness serves as a source of abundant evidence toward similar tendencies evident in clinical depression. The intellect hungers for social stimulation and cannot find it. That’s a very interesting thought, Jim. So you are saying it isn’t so much the persecution of the peer group, but an inability to find peers that are suitable? I’m not saying persecution doesn’t exist. In my experience, the most persecution I have seen is in a requirement of self-denial for inclusion in the group. In a very Christian respect, self-denial is a good thing. In another, it isn’t seen as arrogant for most people to openly recognize their gifts. However, one who is gifted with exceptional intelligence has a difficult time expressing a self-recognition of the gift in the face of a charge of arrogance. In this vein, one principle I’ve noticed is that many people tend to think that their ability to understand something is the standard for other people to understand things. So people who are less intelligent are often seen as having lesser ontological value and more intelligent people are often seen as being arrogantly mistaken. This pattern is therefore related to the patter of sociability I’m talking about in this way: Tempering expressions of exceptional understanding is vital to maintaining relatively positive social contact. However, the perceptions of others that one is holding back in some way tend to impede relational development. In any case, relationships cannot develop beyond the level of common understanding. Interestingly, the most positive connections I have experienced are with people who have very little intellectual expectations. It’s okay with people like that to be unfashionably awkward so one doesn’t have to walk on proverbial eggshells. My oldest son has discovered this. Half of his closest friends have either learning disabilities or some form of aspergers/autism.